On September 5, 1978, with the world watching, Israeli Prime Minister Menachem Begin, Egyptian President Anwar Sadat, and Jimmy Carter met. A Jew, a Muslim and a Christian. Carter said they all wanted to pray. He worked on the language of a prayer, and garnered the aid of a prayer group. All three men made changes to the draft, then approved it. Prayer became the basis of the negotiations. After a week, the talks had failed. Sadat was leaving. Carter went to his cabin, and what followed as a “sharp exchange” after which Sadat said he would reconsider. Carter then found a quiet place for private prayer. Within three days, the Camp David Accord had been signed. 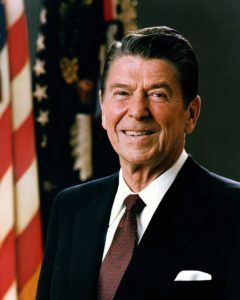 Reagan would say that he learned prayer at the knee of his mother and nothing she gave him was more important than that gift of talking to the Lord. It would be his mother’s Bible that was used when he was sworn into office, opened to 2 Chronicles 7:14. William Clark, the Chief of Staff for Reagan, said he was amazed by the natural way Reagan prayed. Riding horses together, at some vista point, Reagan would utter a prayer. When the two went to the Soviet Embassy to sign a condolence book at the passing of Leonid Brezhnev, Reagan mischievously suggested, “Do you think they would mind if we just said a little prayer for the man?” And they did. There are numerous calls to prayer, but the National Day of Prayer held each May is mandated by law. Each year, the President signs a new proclamation and a call to prayer. Until the current Obama Administration, each year there had been a National Day of Prayer service in the White House. Larry King and Irwin Katsof, Powerful Prayers (Los Angeles: Renaissance Books, 1998), 68. 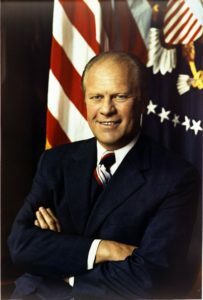 Gerald Ford, Public Prayers of the Presidents of the United States: Gerald R. Ford, August 9 – December 31, 1974 (Washington, DC: US Government Printing Office, 1975), 1-2. 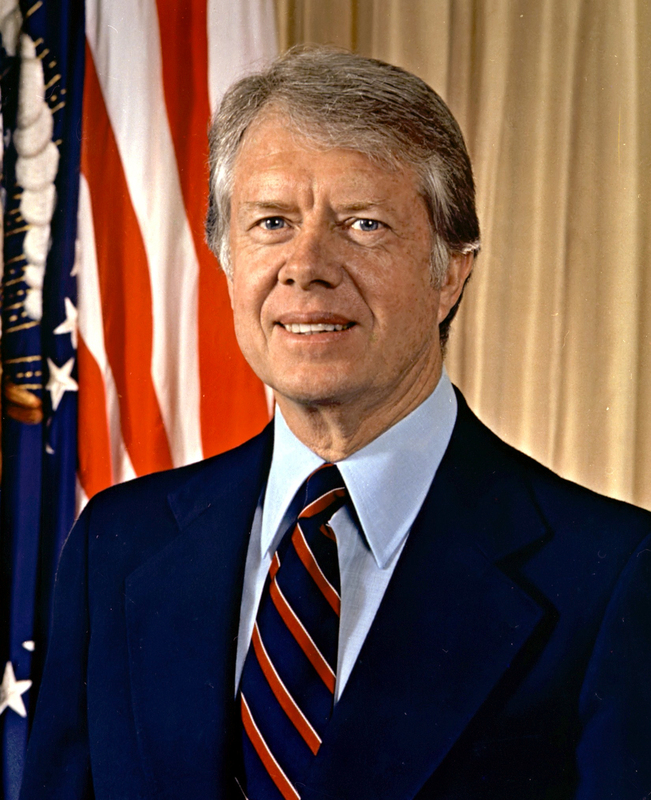 Jimmy Carter, Personal Beliefs, 98. Paul Kengor, God and Ronald Reagan: A Spiritual Life (New York: Regan Books, 2004), 429. Public Prayers of the Presidents of the United States: Ronald Reagan, 1983, Vol. 1, January 1 – July 2, 1983 (Washington, DC: Government Printing Office, 1984), 359-364.